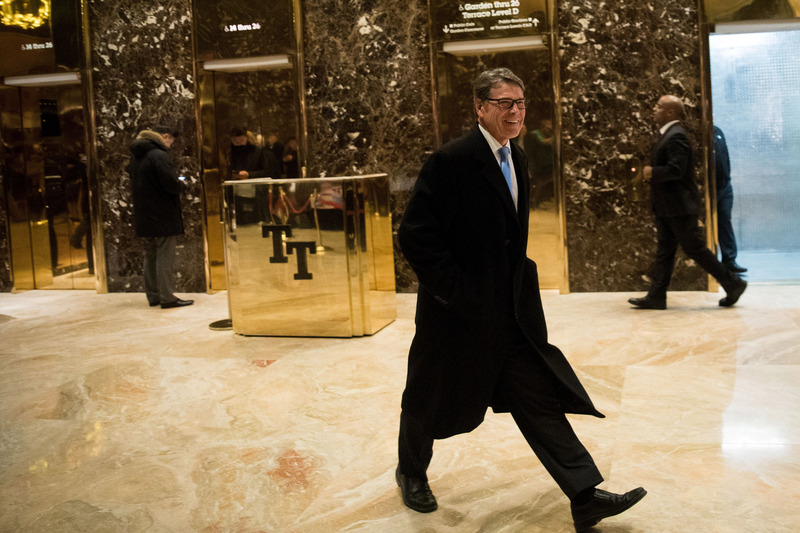 The UK’s biggest energy company, Centrica, has donated tens of thousands of dollars to a Texas-based climate denial think tank strongly linked to Donald Trump’s new energy secretary Rick Perry, Unearthed can reveal. Centrica, which owns British Gas and is a major investor in UK fracking, has made a number of donations to the Texas Public Policy Foundation (TPPF) over the last five years and says it has no plans to stop. When contacted by Unearthed, Centrica refused to disclose the total sum that it had donated to the group. But a leaked 2010 donor list reveals that its US subsidiary, Direct Energy, was among the TPPF’s largest donors that year with a payment of $20,000. The Austin-based think tank has played a central role in the US climate denial movement, which is now poised to take control of energy and environmental policy under Donald Trump. Centrica has previously sought to position itself as corporate leader on climate action. The TPPF holds strong relationships with leading Republican politicians, including former presidential candidate Ted Cruz, who was a senior fellow at the organisation, and new energy secretary Rick Perry. The think tank’s ties to the new Trump administration also include Doug Domenech, who is leading Donald Trump’s department of interior transition team. Domenech, a former department of interior staffer under George W. Bush, leads the TPPF’s “Fueling Freedom” project, which aims to “end the regulation of CO2 as a pollutant” and collaborates with the Heritage Foundation to organise an annual climate sceptic energy summit in Washington D.C. This year’s event was attended by prominent sceptics, including Senator Jim Inhofe, Willie Soon and Professor Will Happer, who was caught in an Unearthed undercover sting last year agreeing to hide the fact a fossil fuel company would be funding his research on the benefits of CO2. Centrica has refused to disclose how much it has donated to the TPPF but admitted that it continues to do so and has no plans to stop the payments. According to the Guardian, the company’s most recent donation was of a similar size to the $20,000 payment in 2010. The Texas Public Policy Foundation failed to respond to a request for comment.